Do you keep a running log? Some people are diary/journal people. And some people aren’t. I’m in between. I love to keep journals but finding the time and remembering to do so is always a challenge and so writing in a journal at the end of a long day usually gets scratched as just not as valuable as sleep. However I highly recommend keeping a running log. Quick Tip: call it a "log" and it won’t seem as high maintenance as a “journal”. Keeping track of your runs don’t have to be something stressful. Make it easy on yourself and record just after you have run maybe before you hop in the shower. Make it part of your workout time that you have set aside for the day and then it will become just something you do before you have “completed” your run. Occasionally you may forget to record your run but usually you can remember it after your next run and so still get accurate recordings. 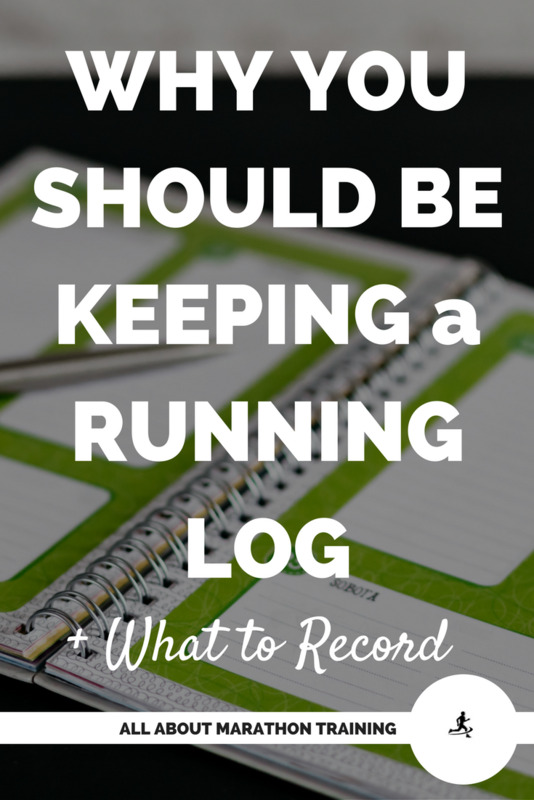 Why Keep a Running Log? This was the same question I had asked myself. As a marathoner, my dad always kept a running journal. Many of the great runners keep running logs. Running books and magazines always talk about training logs. What was it all about? I decided to give it a try when I started training for my third marathon. 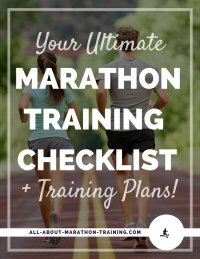 Looking back, I am so glad that I took the initiative to start a marathon training log! It was easier to pinpoint what seemed to help me in my training and what hindered me. Plus, I could keep track of the miles I ran building up to a race, as well as my tapering methods. It was a huge motivational booster. It made me want to run longer, faster, add more miles into my log. My early running logs became even more helpful at the start of my 4th marathon training program. I could look back and pinpoint where mistakes had been made in my training, what stretches or running workouts worked for me or didn’t work for me. What boosted my energy, hindered my progress, made me faster or slowed me down? How many miles did I run the weeks leading up to my race? What was my longest long run ? All these questions I could look back and see where I went wrong or right. My advice for runners: Keep a running log. There is no way you will regret it! Whatever you want! Some things are helpful to some runners and other records are helpful to other runners. It is up to you but here are a few ideas that I always liked to keep track of. Mileage: Of course you will want to record how many miles you ran. Be proud to log them down! Time: How long did it take you to run the distance? It’s always nice to challenge yourself to keep up with your old times or even beat them. Keeping track of your time will be very motivating as you become faster. Something fun to do is to keep track of you minutes or hours of running and at the end of the year see how much time you spent running throughout the year. Course: What course did you run on? Was it hilly, flat, on the track, on a trail? Recording the terrain you have been on will give more meaning to your running times. Food/Drink: Did you eat or drink anything before, during or after your run that might have affected your performance? Feelings: How did your run go? Was it hard to keep your feet moving or did you feel as if you were flying? Recording how you felt will help to reveal a pattern of something that is working or not working for you. Remember though, its up to you! Write down what you will find helpful to you. Make it helpful for yourself. They are then a joy to go back and read! Allows you to see what works for YOU and pinpoints what didn’t work for you. Keeps track of your training methods. Motivates you to log more miles, and keep up your training! Ultimately leads you to faster times as you will be a smarter marathoner! Each one of you will find how much it will help you specifically. Only you will find the benefits of your log by keeping one. You have nothing to lose! The end result: a better marathoner and if used correctly a faster marathoner! Who wouldn’t want to keep a running log?! Want to learn about goal setting? Make sure you have a clear goal of what you want from your running. 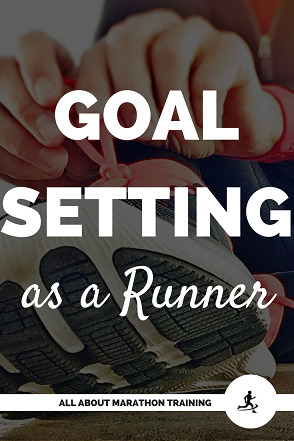 Here is a step by step guide to goal setting as a runner + a worksheet.